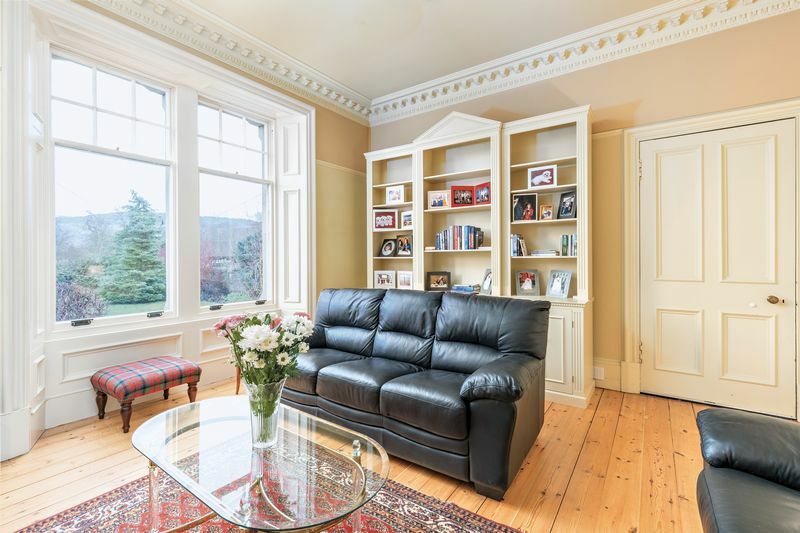 A handsome double fronted traditionally built detached house, set over three floors, enjoying a sought-after location on the south side of the picturesque Borders town of Peebles. 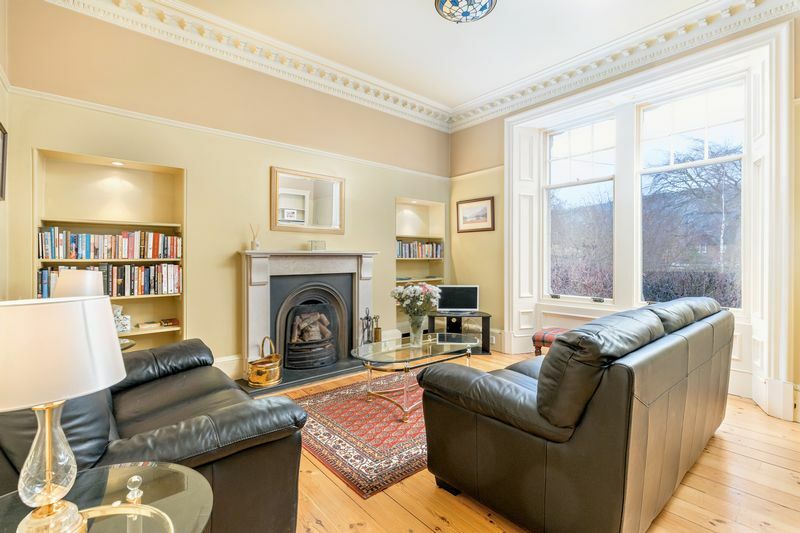 Built around 1870 and retaining period character, this splendid Victorian home is built of solid stone and offers generous accommodation totalling 2,089 square feet. 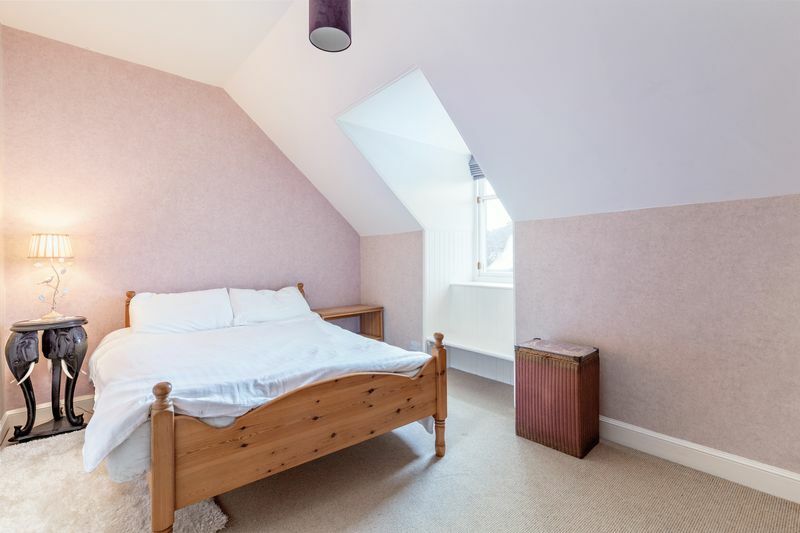 The house is well positioned on an established residential street within the town's Conservation Area and is conveniently located just a short walk away from the town centre and is within very easy reach of the High School. 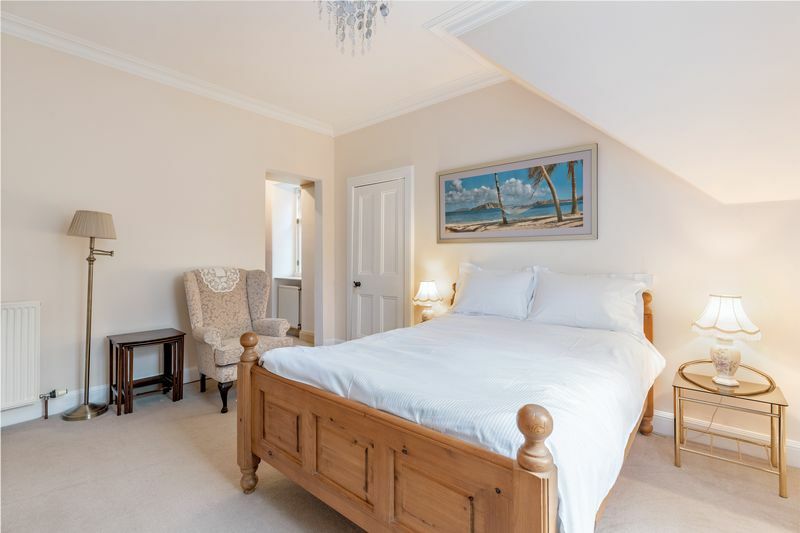 Boasting generous room sizes, versatile accommodation and substantial private gardens, this family house is sure to appeal to many buyers, and early viewing is highly recommended. 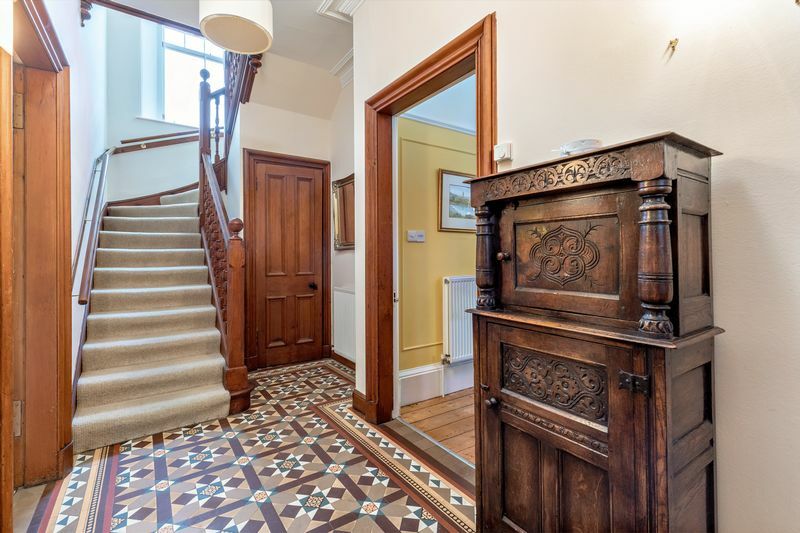 Internally, the well-presented and tastefully decorated accommodation, which retains many original features including ornate cornicing, double height ceilings, fireplaces, doors and stripped wooden floors comprises; ground floor, entrance vestibule leading to reception hallway with ornate tiled floor, beautiful oak spindled staircase to the upper floor and handy under stairs storage cupboard. 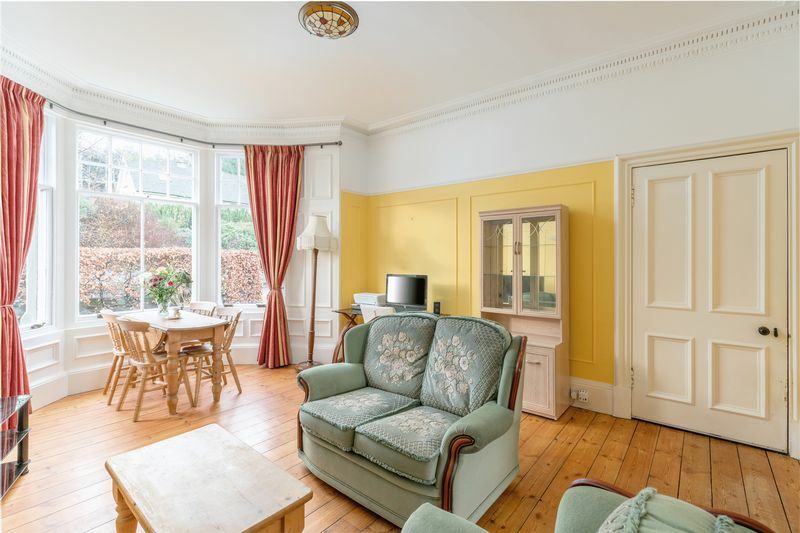 At the front of the house there is a large bright bay-windowed dining room/family room with views over the front garden and providing access to the kitchen. 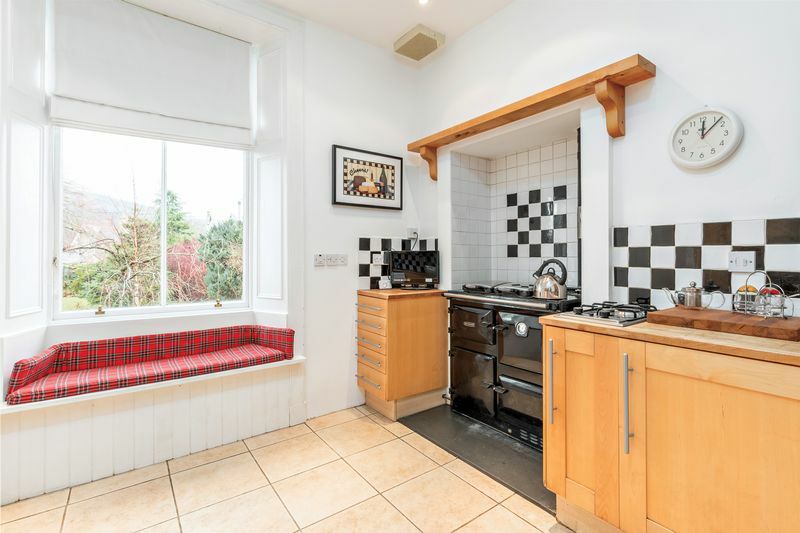 The kitchen is fitted with a good range of floor and wall units featuring a Raeburn range cooker, and space for a fridge freezer and a dishwasher. 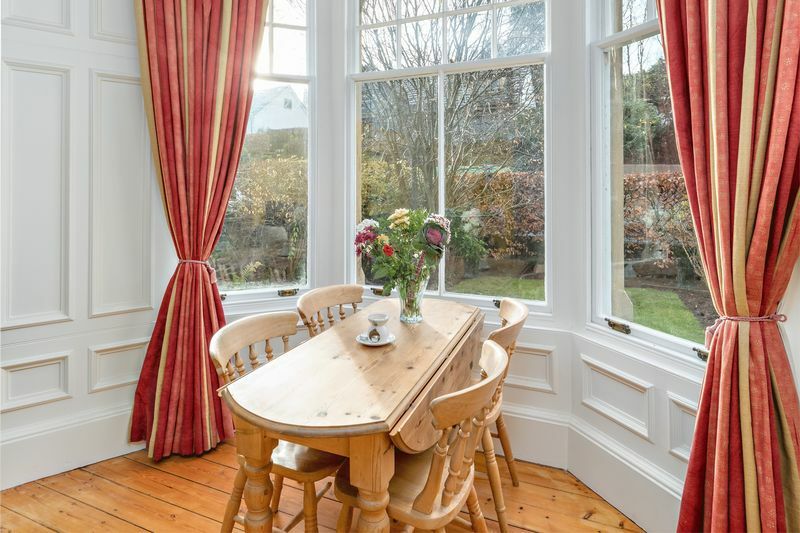 The kitchen also has a large window overlooking the rear garden replete with a charming window seat to enjoy the views. 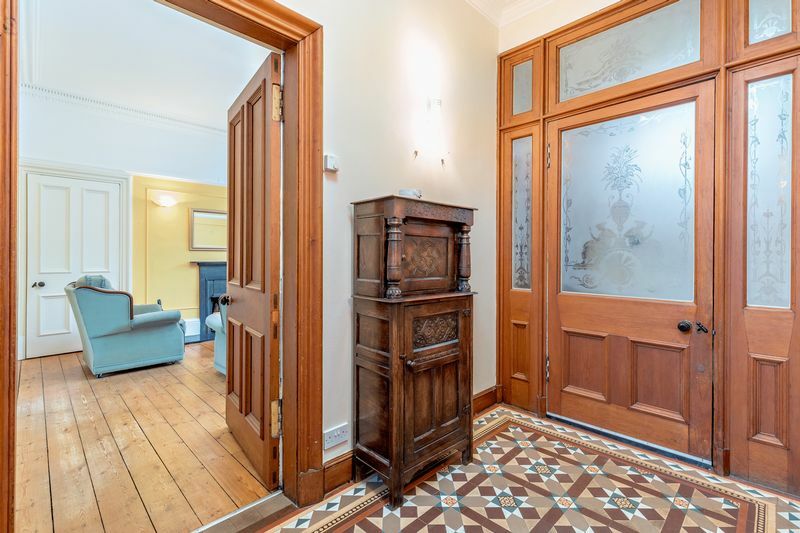 A door from the kitchen offers access to the lower ground floor and access out to the garden. 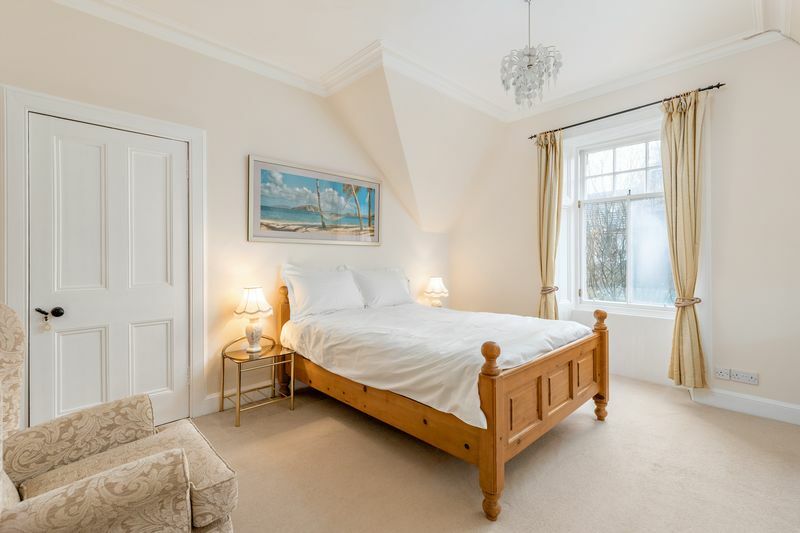 At the front of the house is a further generous reception room overlooking the front garden, which is currently used as a bedroom. 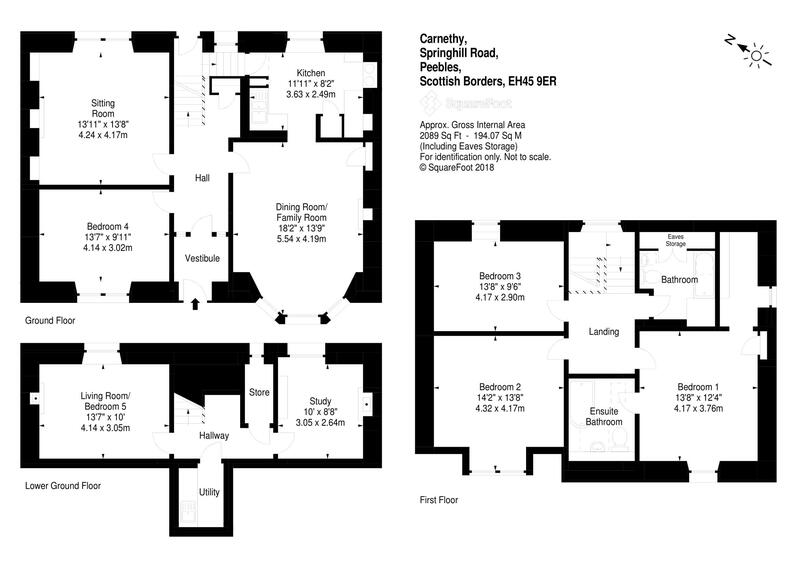 Towards the rear of the house is the formal well-proportioned sitting room. 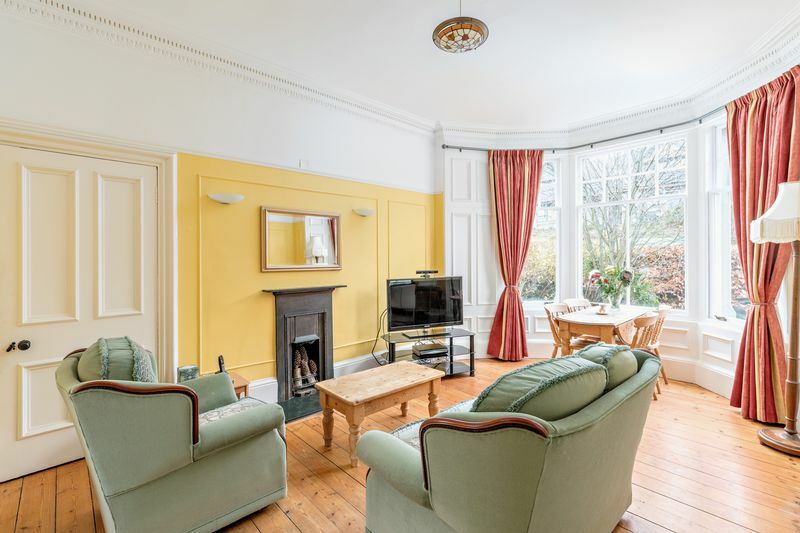 This bright comfortable room features an open fireplace, ornate cornicing, wooden floors and a large window with views overlooking the lovely rear garden. 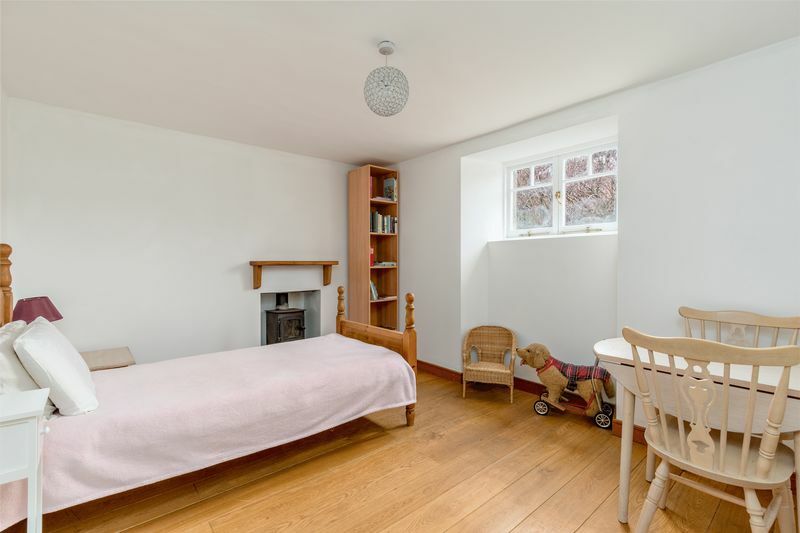 On the upper floor, there is a bright hallway landing, three generous double bedrooms, two at the front of the house and one at the rear. The master suite which overlooks the front benefits from an en-suite bathroom featuring a freestanding bath with shower over. There is also a walk-in dressing area. 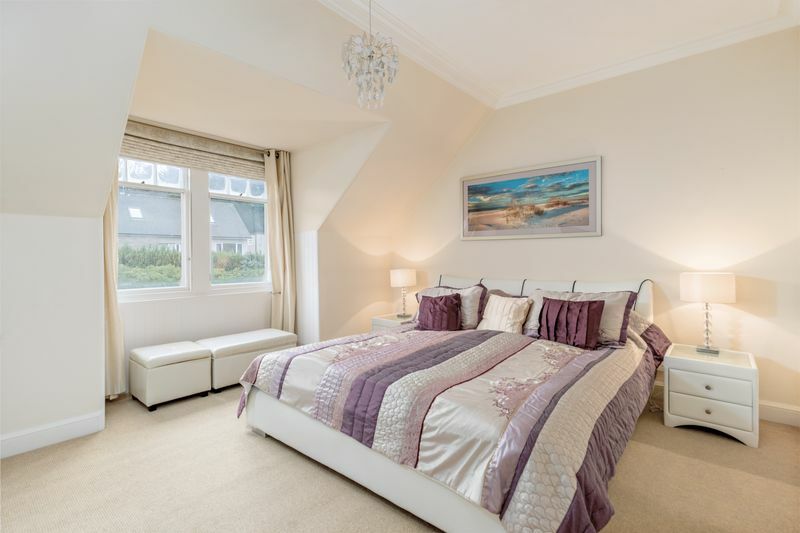 The other bedrooms have ample space for free-standing wardrobes. 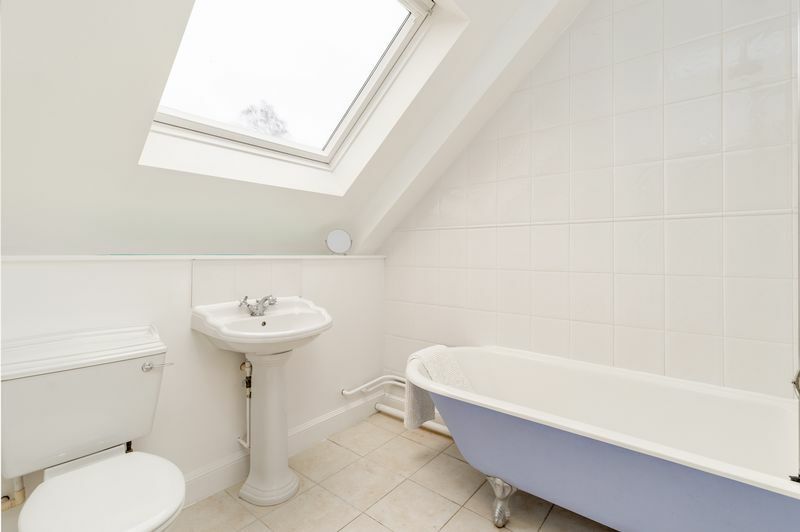 Completing the accommodation is the well-appointed fully tiled family bathroom with shower over bath, and a heated towel rail. The lower ground floor is reached via a staircase leading from the kitchen. 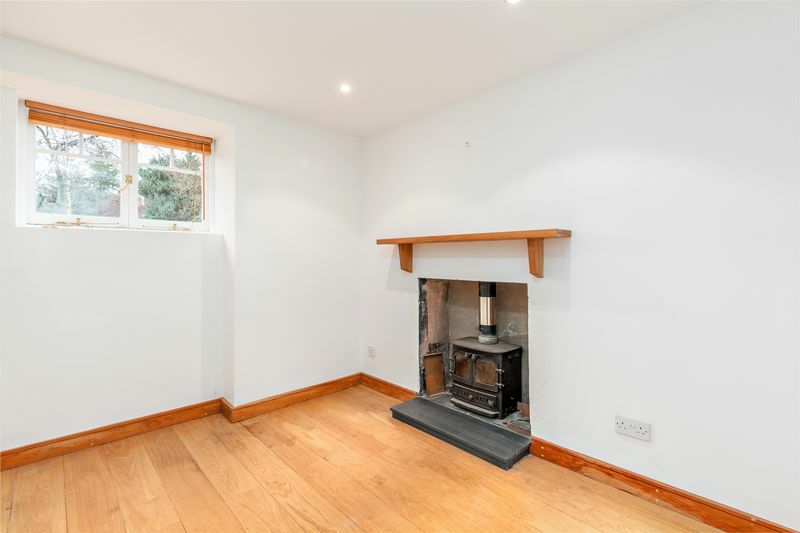 The accommodation on this level comprises, a hallway with useful storage cupboard, living room, with potential to be fifth bedroom and a separate study. 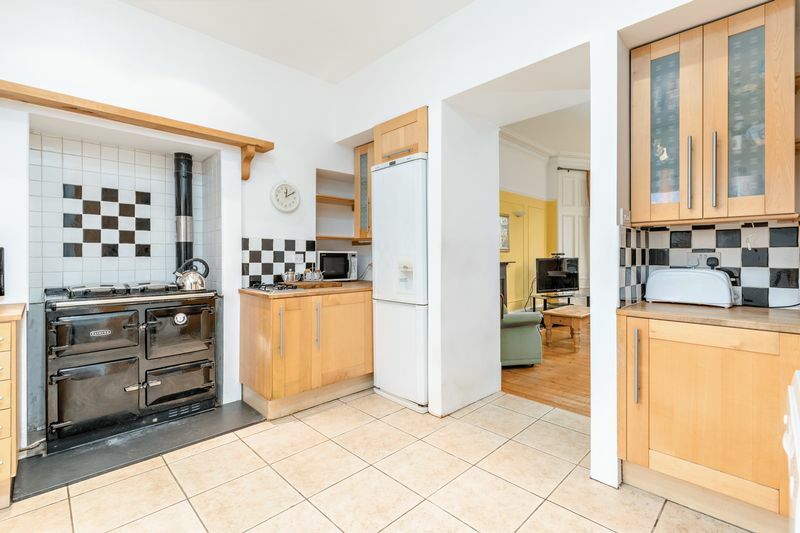 Both featuring multifuel stoves and with windows onto the rear garden. 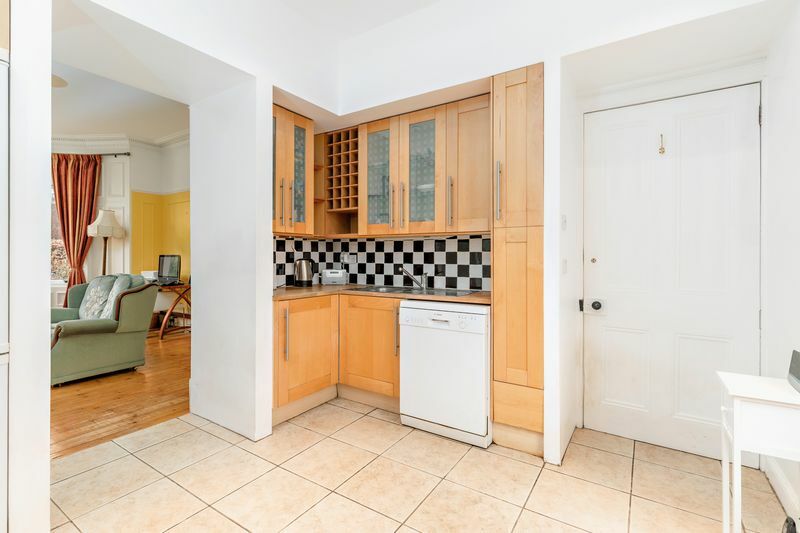 There is also a useful utility room with a sink, plus space for a washing machine and tumble dryer. 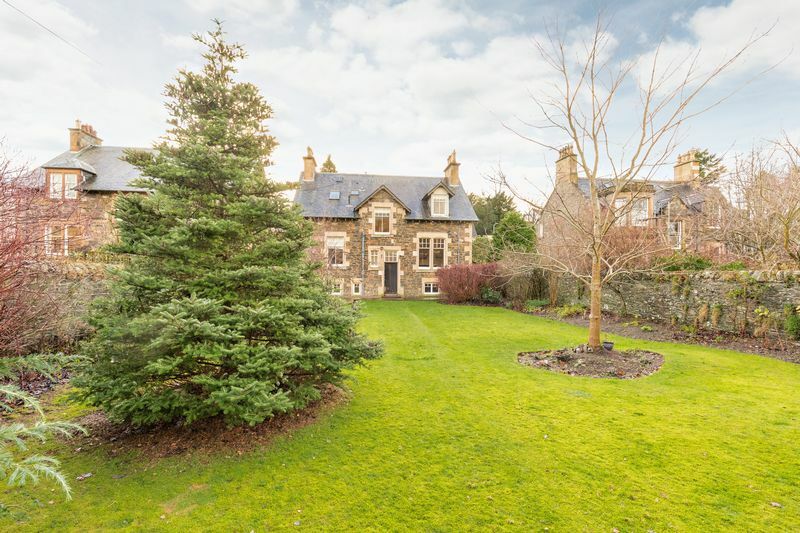 Externally, there are mature gardens to front, side and rear of the house. 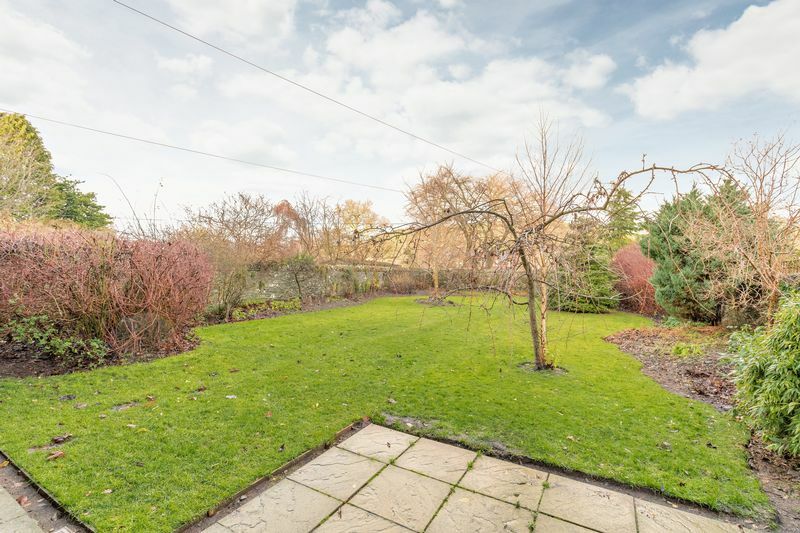 The large rear garden, which has a lovely aspect overlooking Victoria Park, is mostly laid to lawn with apple and plum trees, shrub borders, flowerbeds and various fruit bushes. The garden is fully enclosed with stone walling and offers a good degree of privacy. There is a timber multi-purpose store which benefits from having light and power. 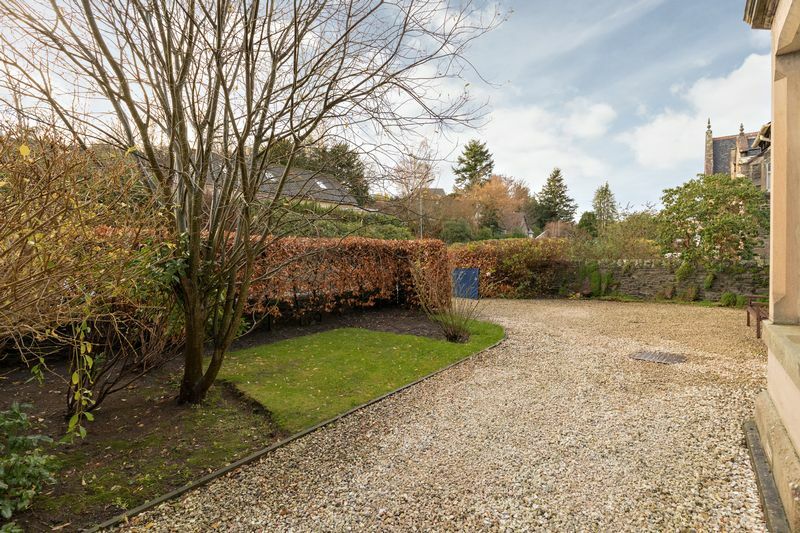 At the front, there is a gravelled driveway, which provides convenient off-street parking for several vehicles. 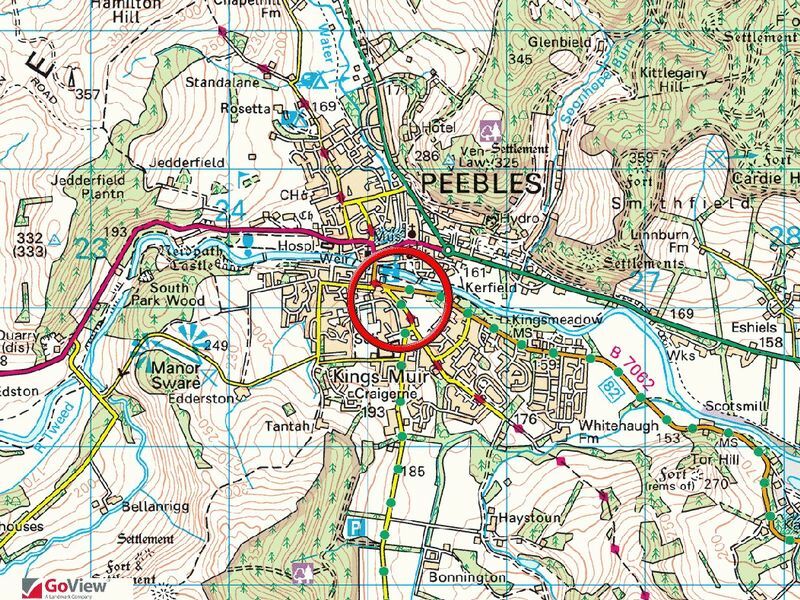 The Royal Burgh of Peebles is a thriving market town and the third largest town in the Borders with a population of around 8,000. 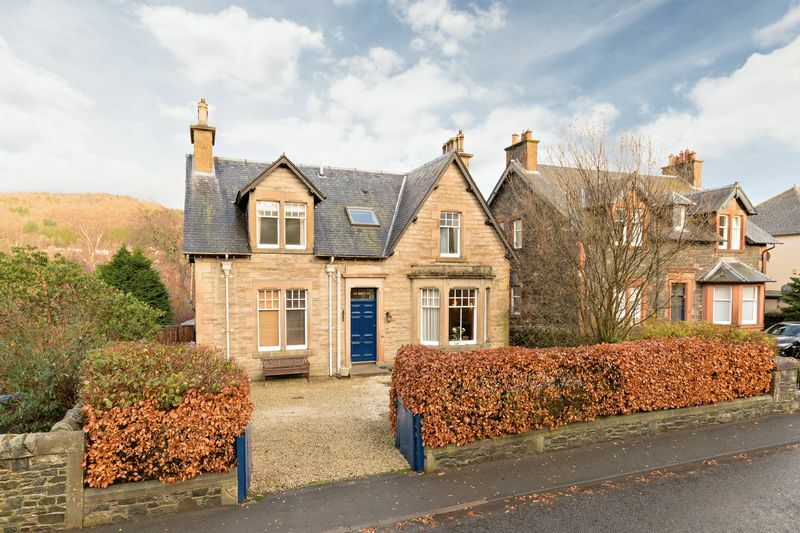 The town offers an excellent array of amenities including banks, post office, a range of shops, supermarkets and restaurants, as well as schools at primary and secondary levels. There is also a swimming pool, leisure centre, theatre and an arts centre. 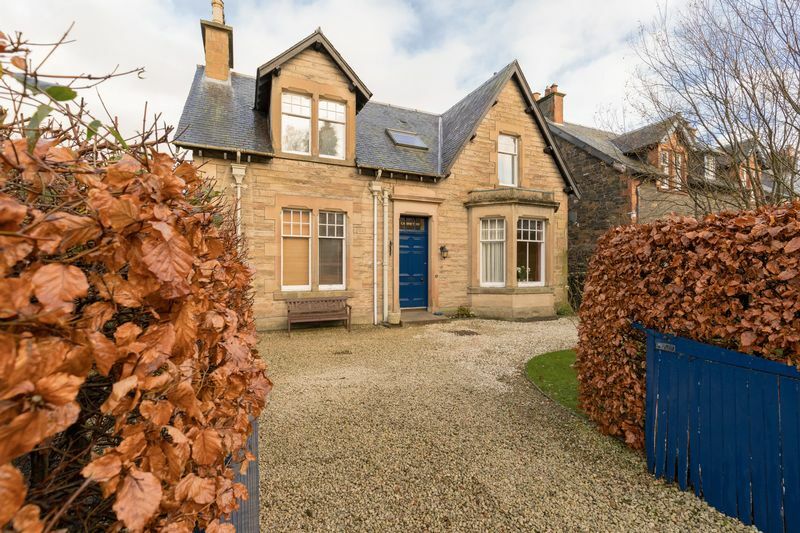 The local area is particularly well served for recreational activities with excellent golf courses, fishing, walking and mountain biking all within easy reach. 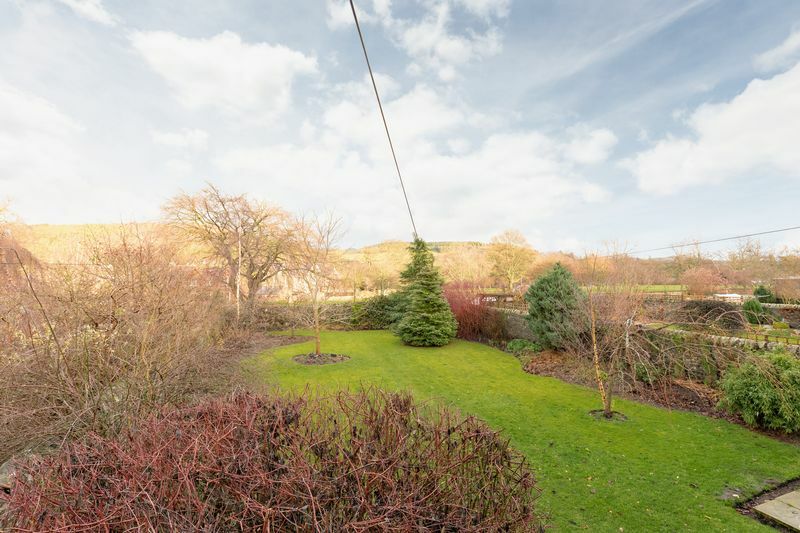 In the summer, Peebles really comes alive with residents treated to some spectacular events right on their doorstep, including the Beltane Week, Agricultural Show, Arts Festival, Jazz Festival and Highland Games. 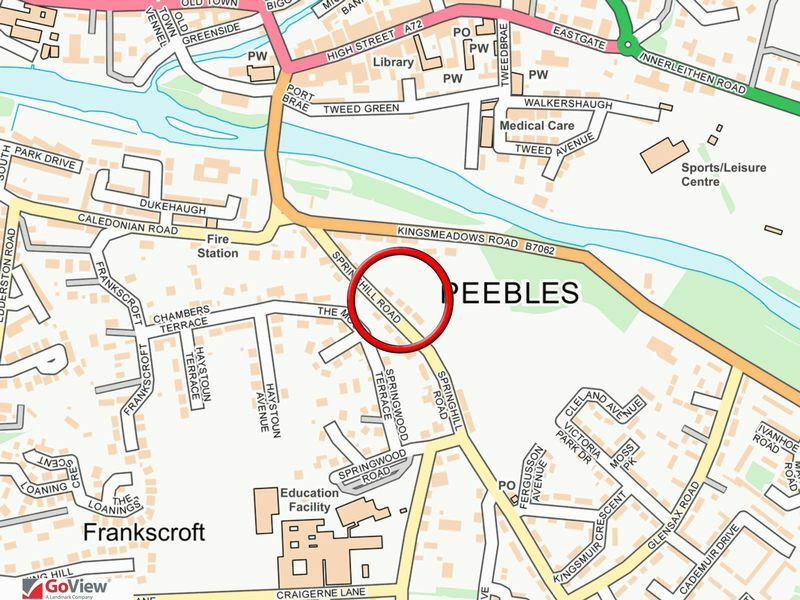 There is good access from Peebles to the other Borders towns via the road network, with the A703 giving access to Edinburgh City Bypass, and the capital beyond. A regular bus service runs to and from Edinburgh and to neighbouring towns including Galashiels. Mains water and drainage. Mains electricity. Gas fired central heating. Telephone with broadband connection. Mixture of double and single glazed timber framed windows. 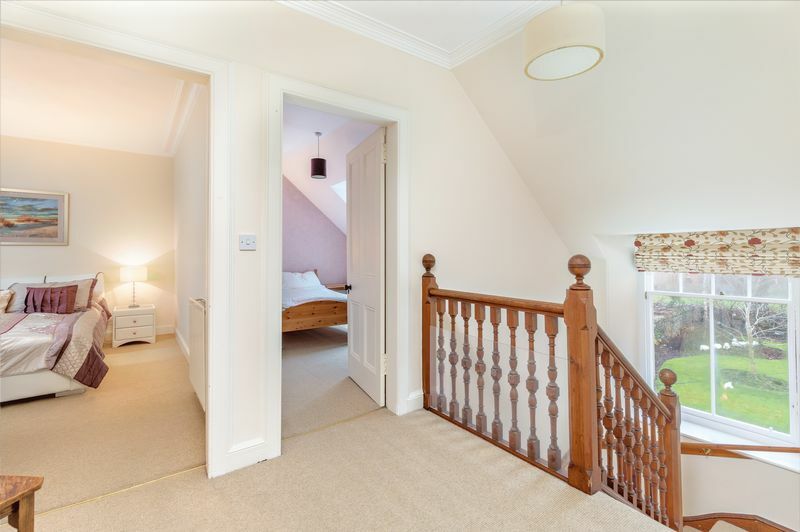 All carpets, blinds and curtains throughout the house will be included in the sale except for the curtains in bedroom number one and the curtains at the front door. Some light fittings will also be included. Other items may be available under separate negotiation. 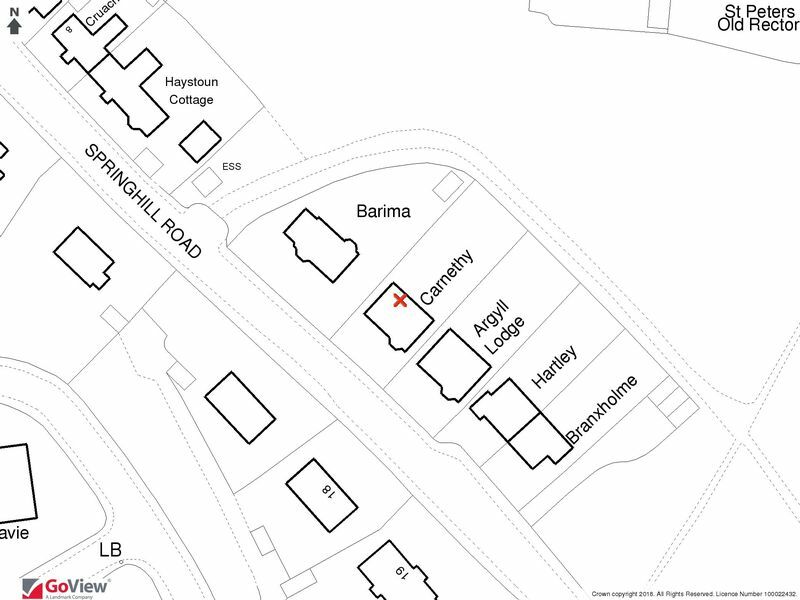 For Council Tax purposes this property has been assessed as band category G. Amount payable for financial year 2018/2019 - £2,981.11. 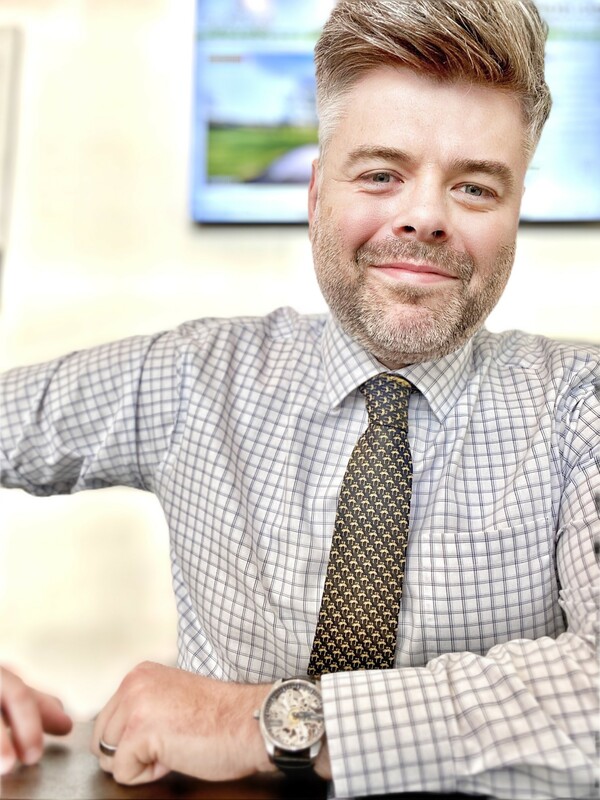 The local authority is Scottish Borders Council, Council Headquarters, Newtown St Boswells, Melrose, TD6 0SA Tel: 01835 824 000. The Energy Efficiency Rating for this property is E (44) with potential C (74).